‘Halt!‘ Caporale Valdreti called down to his driver. 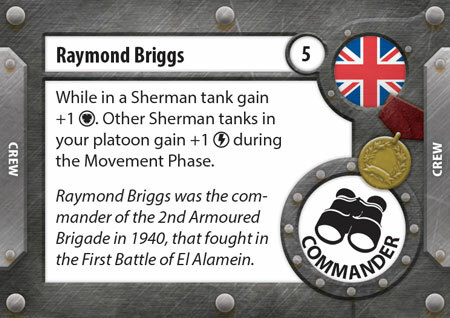 Through his sights he saw several British Crusader tanks rolling over the slight rise ahead. 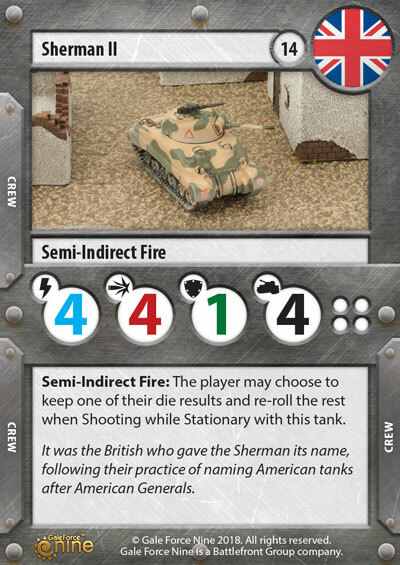 Adjusting his aim as the tank abruptly stopped, he fired, noting the almost flash of a direct hit on the front of the tank’s hull. Smoke and crew poured out the open hatch, then moments later the ammunition exploded, lifting the turret off the hull. A blossom of fire and smoke erupted as the other Crusader fired back, yet the shot went wide. Valdreti changed his aim and fired again, breaking the right track. The Crusader ground to a halt. Almost immediately, a second shot from further along the Italian line streaked into view, penetrated the turret, and finished it off. With a deafening clang, sparks exploded all around Valdreti. 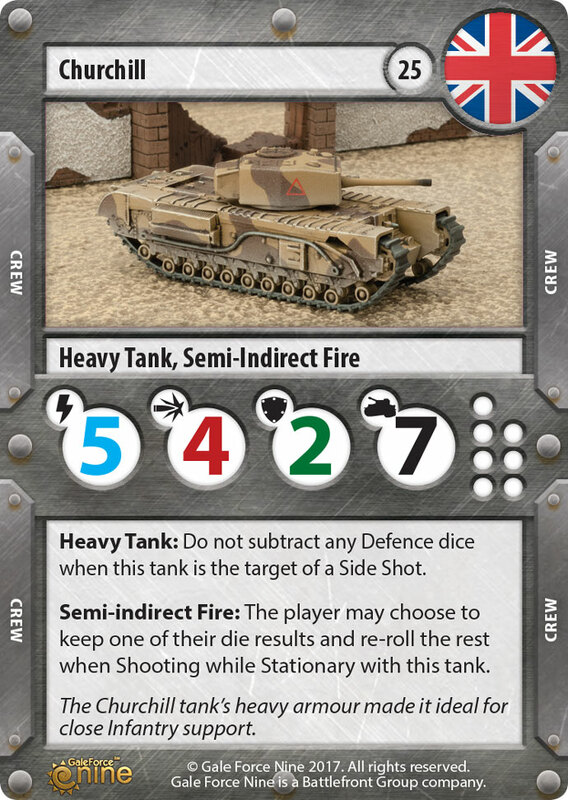 A glancing shot, hard enough to gouge the armour but not enough to penetrate. Sticking his head out the hatch, Valdreti looked around frantically to see where the shot had come from. 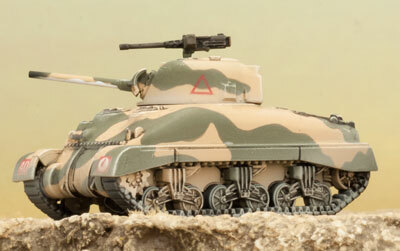 Off to the right another Crusader burned, and one of the company’s M14/41 tanks was smoking, but nothing. 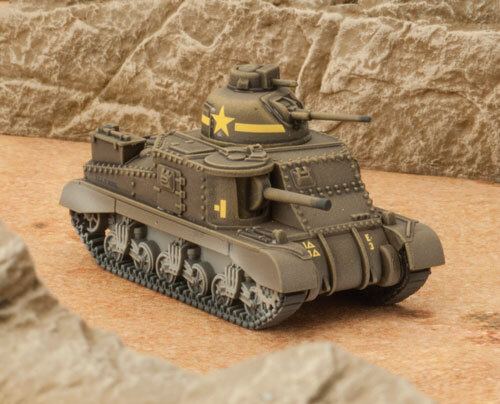 Not a living British tank to be seen. Somehow the rest of them had vanished as quickly as they appeared. With Italians being a new Nation to choose from, they come with a new National rule, Avanti. Like all the National rules in TANKS, this one creates a new play style. 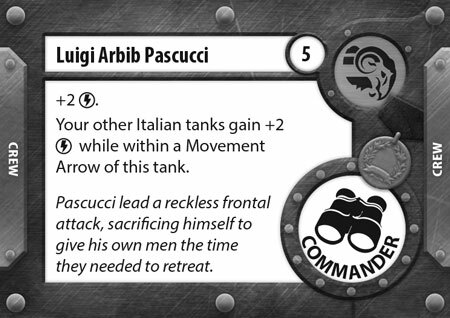 For the Italian tanks their rule rewards you for swarming and keeping your tank numbers up. 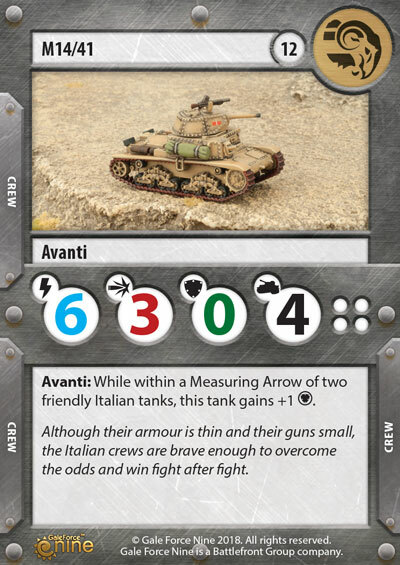 So the Italian tanks are all about banding together to survive. Right now the Italians only have two releases so we opted to add more cards than normal into the Italians Expansions to give them a wider range of options. 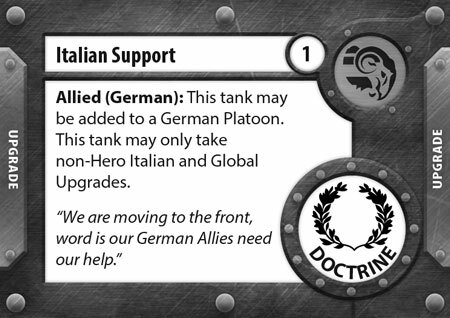 On top of this, all but one card in each pack will be Italian only, with the only exception being their new Allied Support card. 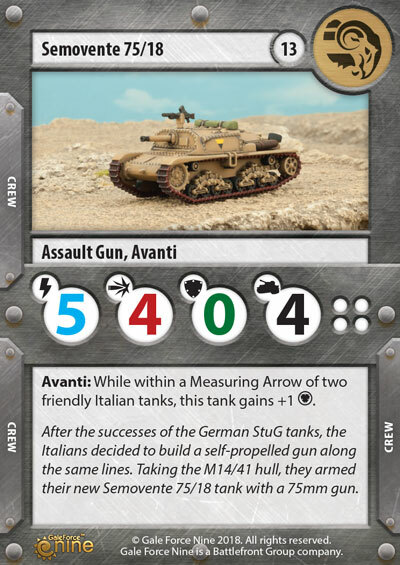 For Italian players this will give you access to some of the heavier German designs to round out your force, for German players you can add some flair to your army with these cheap but effective Italian designs. In addition the Italians get a cool new sub-theme card set, the Risky Crew. 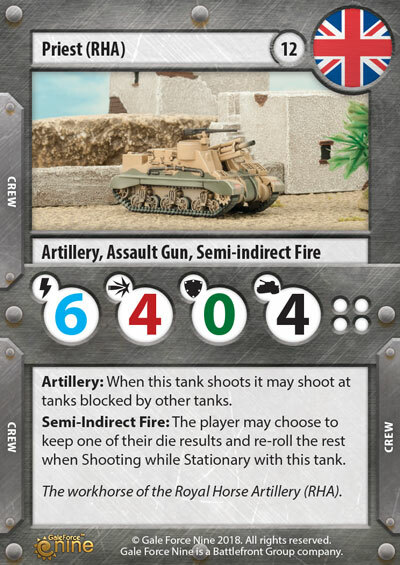 These cards reward players for being aggressive, they are relatively cheap crew cards but their abilities only work while they are within close range of an opponent’s tank. 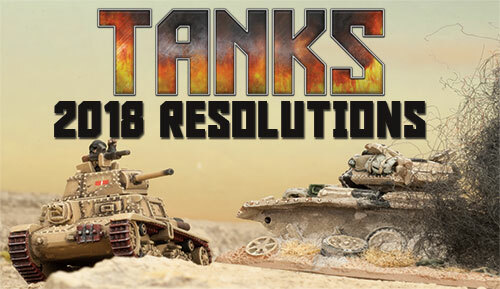 These Italian tanks, along with a themed dice set and Organised Play Kit will be available in stores from April 2018.